What's THAT Supposed to Mean? 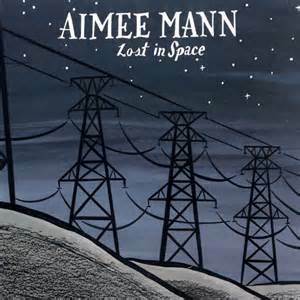 : Aimee Mann, "Lost in Space"
Written by Beau Dure• April 18, 2017• Music, What's THAT Supposed to Mean? But I am the stuff of happy endings / Though mostly bluff, belief suspending / But close enough for just pretending / To care? What’s THAT supposed to mean? The new Aimee Mann album, Mental Illness, is winning all sorts of critical acclaim. That’s great, but something about it struck me as odd. Perhaps it’s because the album is, by Mann’s admission, a concession to her own stereotype as a purveyor of slow, depressing tunes. It’s as if she figures if people are going to have this image of her, so be it. But Mann is far more complex than that. She’s not some adult alternative whiner with an acoustic guitar, working out vengeance on all the ex-lovers and high school bullies who’ve done her wrong. Her most recent studio work is an album with Ted Leo, a worthy partner is music and on-stage comedy. (The band is called “The Both.”) She has a sense of humor — wry in many of her lyrics, downright silly in her outstanding Christmas variety shows with guest musicians and comedians. So after 10 years or so of amusing variety shows, some endearing sentimental-but-not-brooding tunes and an out-and-out rock album with Ted Leo, she’s back with an album living up to some old stereotype of her? Sounds like a terrible idea. Until, of course, you listen to it, and it’s pretty good. I’m sure it’ll grow on me even more after I see Mann and Jonathan Coulton, who guested on the album alongside her regular collaborators Paul Bryan (bass, production) and Jamie Edwards (keyboards), later this week. But here’s what bothers me: I recall Mann’s previous down-in-the-dumps work being unfairly crapped upon by various critics. That might be a misconception on my part. Her albums all do fairly well at Metacritic. It’s just some Wikipedia editor thinks every freaking album ever released needs the viewpoint of Robert Christgau, and with apologies to his acolytes, his is not an expansive view of the world. Christgau may disagree, but her best album is Lost in Space, which captures all of her best traits — thoughtful lyrics, memorable hooks, a few Beatle-esque flourishes and solid arrangements throughout. The title track posits Mann in a state of disconnected ennui. She’s pretending to care, and she’s gone but she don’t know where. I’m lost in the first verse. I have no idea about “the planets shifting, the moon erased, its features lifting the glare.” Bad trip? In any case, the picture is painted beautifully. She’s drifting in space. It doesn’t sound like a horrible place to be, but it’s also not great. It’s not hell. It’s limbo. And detaching oneself from it sounds like a pretty good idea. And it would fit pretty well on the setlist on the tour supporting an album with more portraits of people who’ve done (or been done) wrong. Hint hint. And maybe make a video for it so we’re not using some random concert footage.